Joanne Harris's bestselling novels, Chocolat, Blackberry Wine and Five-Quarters of the Orange, are affectionately known as her culinary trilogy. In them, Joanne Harris whets our appetites with some tantalisingly delicious recipes taken from her own grandmere's recipe book. For, like Framboise, the heroine of Five-Quarters of the Orange, Joanne has family recipes which have been passed down through the generations and which she shares with us now in a mouth-watering celebration of French cuisine. 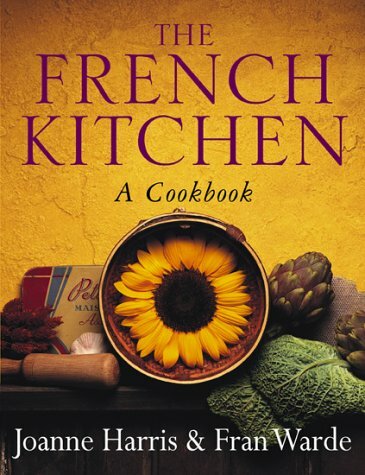 From pumkin soup to Moules Mariniere, from Tarte aux cassis to Fouace Aveyronnaise (Grandmother's festival loaf), and taking in salads, starters, fish, poultry and plenty more along the way, these are simple and stylish recipes from the heart of the French family kitchen. Illustrated with stunning integrated photographs and complemented by anecdotes from her family, past and present, The French Kitchen will be a must-have cookbook for all lovers of food and France. Anouchka, Madame Douazan, Great-Aunt Simone... These are not characters from one of Joanne Harris's novels, they are the inspiration for a mouth-watering celebration of French cuisine. For, like Framboise, the heroine of Five Quarters of the Orange, Joanne Harris has family recipes that have been passed down through the generations, and she shares them with us now. From Grandmother's Festival Loaf to traditional French classics like Moules Mariniere or Daube of Beef, The French Kitchen is a tantalizing collection of casseroles, soups, roast, salads, tarts and sweets. A collaboration between a writer who loves food and a former chef who loves writing about food, The French Kitchen gathers together simple yet stylish recipes from the heart of a French family.